Sony’s refreshed Sony Vaio E fits snuggly into the current mainstream laptop market, but the computer is also what you make of it. The review unit we received is a typical budget laptop that makes a few subtle attempts to class things up. It includes a good keyboard with backlighting, a stylish exterior and an aluminum lid. If you choose, you can outfit this laptop with a quad-core processor, or Radeon 7550M discrete graphics. Overall, performance with this laptop was solid and slightly better than average compared to other 15-inch laptops. The PCMark 07 benchmark turned in a score of 2,439, which is again slightly better than others. A bump in hard drive transfer speed, however, would have improved this score (and performance). Sony's Vaio line of laptops has undergone its most extensive overhaul in years, resulting in new products, such as the T series ultrabook, and revamped ones, including the new E series. 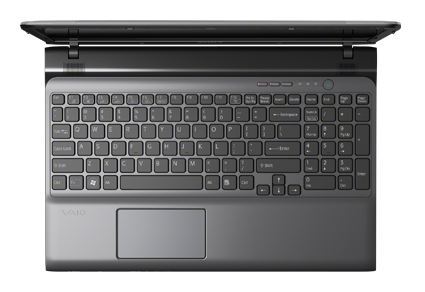 Sony pays some needed attention to the lower end of the midsize laptop market, with the sharp-looking new Vaio E series. We weren't terribly enamored with Sony's previous VAIO E Series laptop, model VPCEH1FGX, when we reviewed it back in 2011. The redesigned touch pad might trip you up, but the 2012 Sony VAIO E Series is an otherwise well-designed 15.5-inch laptop that delivers fast performance and a big software bundle for a reasonable price. 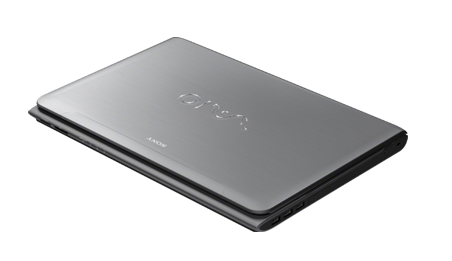 Even without the addition of a third-generation Intel processor, and the boost to processing and graphics performance that come with it, the Sony VAIO E15 (SVE15116FXS) is a strong laptop, combining slick design and solid construction with a healthy selection of hardware and software and plenty of features. Extras like webcam gesture control and a suite of premium media tools make the VAIO E15 compelling on its own, and thanks to an Ivy Bridge Intel Core i5 processor, the Sony VAIO E15 (SVE15116FXS) stands head and shoulders above other entry-level desktop replacements, replacing our previous Editors' Choice among entry-level desktop replacements, the Asus U56-BBL6. The $699 VAIO E15 is an attractive notebook that delivers power and a compelling suite of apps to leverage its third-generation Core i5 processor. In fact, the bundled software on the E15 might be worth the price of admission in and of itself for those who know how to use it. The wrap design is unmistakably Sony, and the sound is also quite good for the price. We just wish the display were brighter and the battery lasted longer. Sonys SV-E Serie wurde im 3. Quartal 2012 als Ersatz für die VPC-E Budget-Serie vorgestellt. Sie umfasst Notebooks von 11,6 bis 17,3 Zoll ab 800 bis zu 1000 Euro. Das Einstiegsmodell um 800 Euro bietet einen Sandy Bridge Prozessor und die integrierte Intel HD3000 Grafik. Im teureren 1000-Euro-Modell ist ein Sandy Bridge Quad-Core-Prozessor und eine Mittelklasse AMD Radeon Grafikkarte verbaut. Verglichen mit Sonys High-End-Modellen handelt es sich bei der E-Serie um preisgünstige Notebooks ohne elegantem Design oder aktueller Hardware. Dafür entspricht der Preis bei viel besserem Bildschirm, etwas besserer Tastatur mit Hintergrundbeleuchtung und zeitlosem Design jenem von Mittelklasse-Laptops anderer Hersteller vergleichbar. Leider gibt es auch Kompromisse zugunsten des niedrigen Preises: sehr heiß bei anspruchsvollen Spielen, keine Grafikumschaltung und damit unterdurchschnittliche Akkulaufzeiten. Trotzdem ist die Sony SV-E Serie für Heimoffice-Anwender, die die hohe Leistung eines Premium-Laptops zu einem fairen Preis suchen, eine attraktive Wahl. 74.29%: Diese Bewertung ist schlecht. Die meisten Notebooks werden besser beurteilt. Als Kaufempfehlung darf man das nicht sehen. Auch wenn Verbalbewertungen in diesem Bereich gar nicht so schlecht klingen ("genügend" oder "befriedigend"), meist sind es Euphemismen, die eine Klassifikation als unterdurchschnittliches Notebook verschleiern.